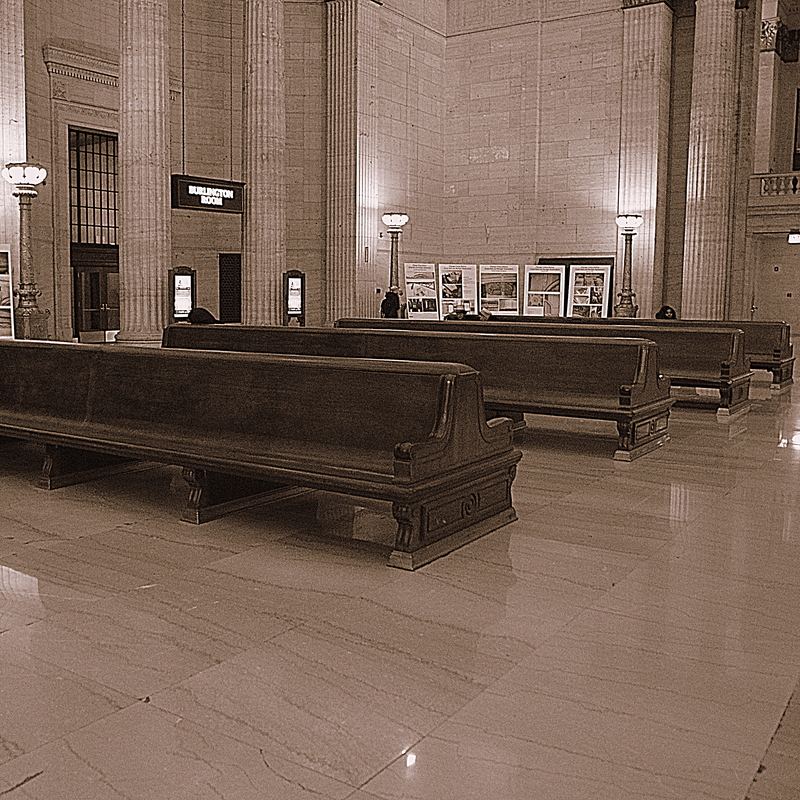 I once had to spend a night in the railway station in Milan and I slept on a bench just like those in your photo. It was decades ago and I was backpacking and could not afford a hotel. Memories! And I bet you didn’t even feel uncomfortable on the hard wood. I was fine and slept well with my money pouch under my clothes and got the train the next day to Rome. Youth! I like the mood the sepia sets! Yes, it does seem to go with the retro décor.